Did you know that car brakes have a failure rate of 5% or less? With that in mind, would you ever consider driving or riding in a car with a failure rate of 95-98%?! To think about that another way- would you ride in a car if you knew that only 2-5 times out of 100 the brakes would work? What about airplanes…The likelihood of being in an airplane accident/crash is 1 in 11 million or approximately 0.00001%. What if that number was 95-98% chance? Would you fly on a plane if you knew that it had a 95-98% chance of crashing?! What about cruise ship…The likelihood of being in an accident on a cruise ships is 1 in 6.26 million or approximately 0.00002%. What if that number again was 95-98% chance? Would you take a cruise if you knew that it had a 95-98% chance of being in an accident? What about helmets? Helmets have reduced the risk of brain injury by 85-88% (about 12-15% risk of injury). Would you ride a bike without a helmet? And even the helmets themselves are shown to be effective 93% of the time with only about a 7% failure rate. What if you knew that there was a 95-98% risk of the helmet failing, would you wear one? Consider also, using a condom to prevent against unintended pregnancy. Condoms are effective about 98% effective. What if it was completely the opposite- they were 98% ineffective? Would you use a condom to prevent unintended pregnancy? Or consider technology- such as your cell phone or computer- something expensive that you rely on probably daily. Defective devices are typically as low as 2% (this doesn’t include user error, like when you drop your phone). But what if that rate was much higher? Would you invest in a phone or computer that had a failure rate of 95-98%? Would you rely on your phone or computer as much if it only worked 95-98% of the time? Or what about eating a food that has a very high probability of being contaminated. I’m not even talking about puffer fish- where there is a very real risk of the food being toxic if not prepared correctly- but even that (when correctly prepared) has a fatality rate of 6.8%. Or even a dented can that has a 15% risk of being contaminated with botulism. I’m talking about would you eat a food that is 95-98% risk of contamination. IF someone with flu sneezed on your food, would you eat it? If there was an absolute 95-98% risk that your food was contaminated would you eat it? And finally, would you drink a hot beverage- coffee or tea from a cup if you knew it would leak on you- not just a little bit, but a lot where hot liquid spilled on you? Generally paper cups have a 99.9% success rate, but what if that number was opposite and they had a 95-98% failure rate…would you use it? Now total your YES and NO answers. How many did you have? If you’re like most people then you probably said there’s no way that you would ever do any of these things if they had a guaranteed failure rate of 95-98%. You wouldn’t even consider it with that type of failure rate. Which yay- I’m glad to know you’d make a wise decision! 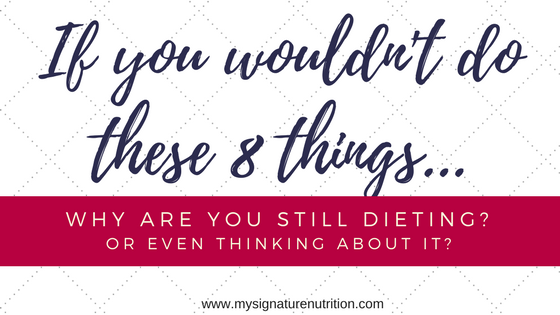 Then consider this final question…if you wouldn’t do any of these 8 things, why are you still dieting or even thinking about it? Because, you see, dieting has a researched failure rate of 95-98%. Dieting is a 60 billion dollar industry and thrives on making money off of “your” failures. 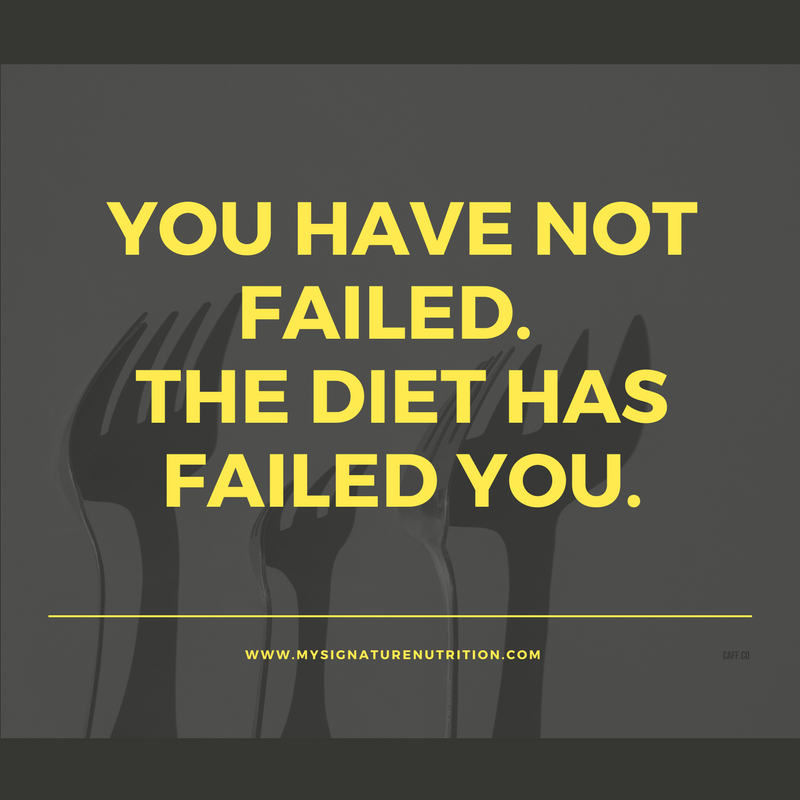 The problem is- you haven’t failed (that’s just what diet industry says) THE DIET HAS FAILED YOU. It’s ludicrous to say that you’ve failed at a diet- that’s like saying it was your fault that a plan crashed or a ship sank. No it was a failure of the product. In this case, the product is the diet, not you. The diet is designed to fail. Would you use any other product that was designed to fail? Then why are you still dieting? 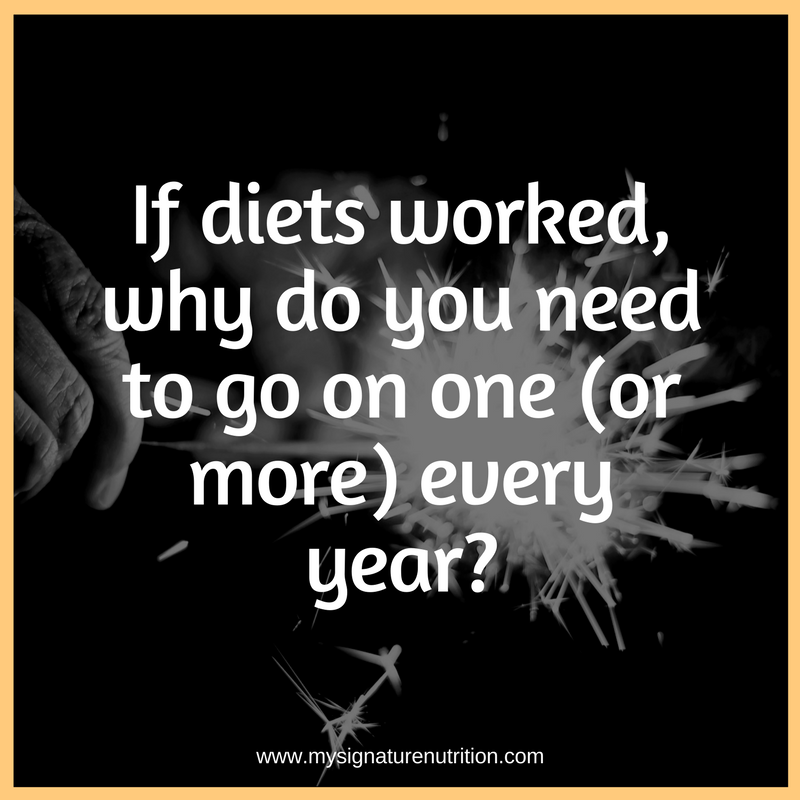 Besides, if diets worked, why would you need to go on one (or more) every year? Furthermore it’s not just that diets fail, it’s that diets cause harm. They don’t lead to health gains. They do however increase inflammatory markers, guilt, and shame (also shown to increase inflammatory markers). Diets also tell you that you can’t trust yourself- they create food obsession and make you think about food all the time. They change your personality and do lots of other negative things that you can read about here. Bottom line- diets fail. They fail 95-98% of the time. It’s not you, it’s the diet. They’re created that way. Diets harm. 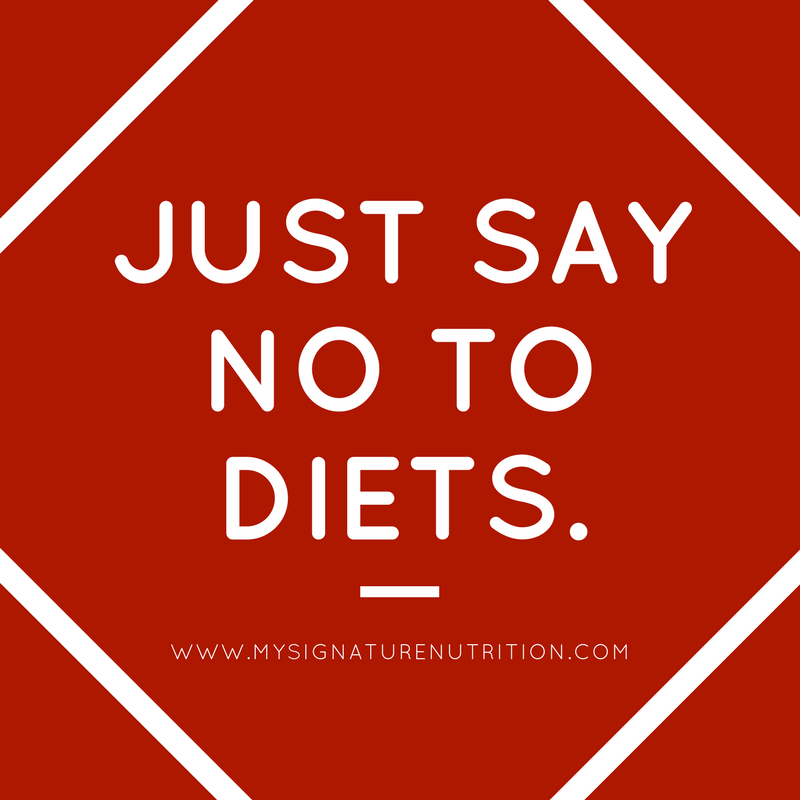 So just like you would say no to pretty much anything else with a failure rate of 95-98%, SAY NO TO DIETS. Need help saying NO to diets and diet culture? 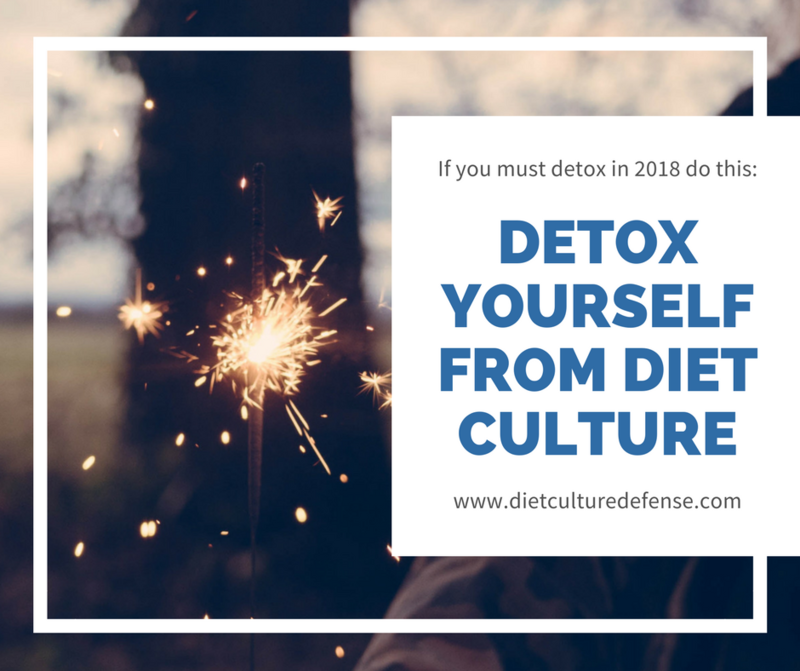 Get my free guide and mini e-course on rejecting diet culture. « Could It Be a Diet In Disguise?